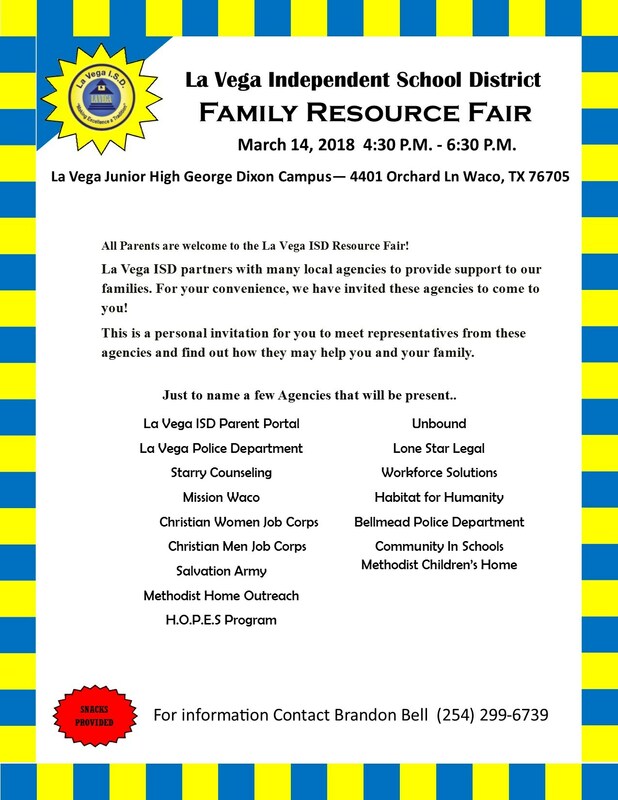 La Vega ISD partners with many local agencies to provide support to our families. For your convenience, we have invited these agencies to come to you! This is a personal invitation for you to meet representatives from these agencies and find out how they may help you and your family. 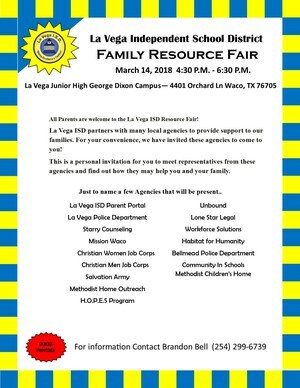 Some of the agencies that will be present at this fair include Mission Waco, Starry Counseling, AgriLife, La Vega ISD Police Department, Salvation Army, HOPES, Waco Police Department and others. You will also learn how to login and use the La Vega ISD Parent Portal!